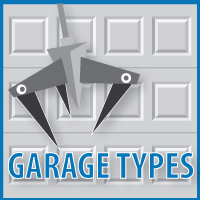 Blue Sky BuildersSkywriters Garage BlogGarage TypesWhat Garage Style is Right for You? What Garage Style is Right for You? 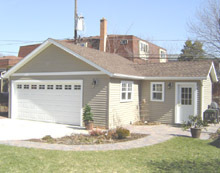 Whether you’re looking to build from the ground up or looking to tear down and rebuild, the possibilities are endless when it comes to your new garage. Whether you’re looking for gable, gambrel, custom, or hip; it’s important to consider the benefits and key uses for each. Are you going to be using your garage for more than parking cars? 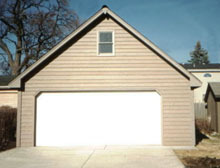 Will you use your garage for storage? What will You Store? How many cars (if any) will go in the garage? 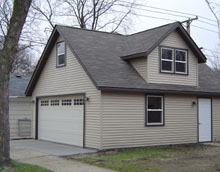 What does the roof line on your house look like? One door or two doors? Single or double? Where will you be putting entry doors? Front? Side? Back? 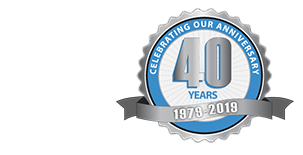 These are just a few questions to ask yourself before and during your consultation with a garage building professional. 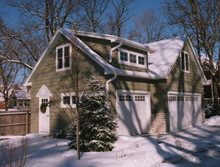 Once you understand these aspects, it’s time to decide on the style: Gable, Gambrel, Hip, or Custom—which includes elements of one of the above in addition to window dormers, decks, or more. 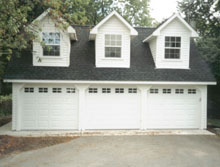 Gable garages are a common type of detached garage, with two sloping sides that come together at a point. 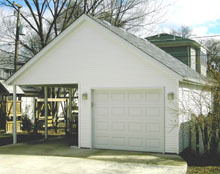 The reason that many homeowners would consider a gable garage is that the roof pitch can be slanted at different angles depending on your need. 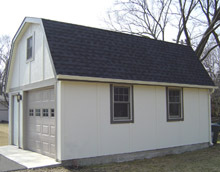 If you want a gable garage, but without the gables, the hip roof style is right for you. 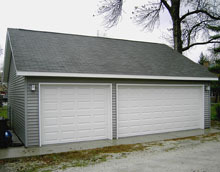 These roofs are very popular on stand-alone garages because they diminish the roof line so it competes less with the house roof, or other roofs nearby. 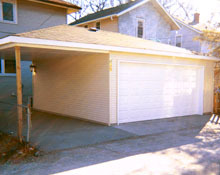 Economical and aerodynamic in areas with high winds, these garages are good for everything except for overhead storage. As mentioned above, these work well for detached garages so that they do not overtake the view of the house and blend well with the community. Do you like barns? Do you like storage? Do you want to minimize the potential for wind damage? 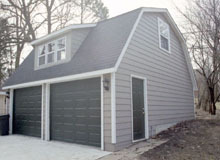 Then choosing a gambrel-style roof for your new garage may be the right option. 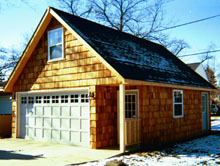 Garages with a gambrel roof, also known as “barn style”, have a straight ridge in the center like gable garages. 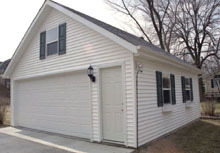 However, they differ in that there are two roof sections on each side of a gambrel garage, as opposed to one. 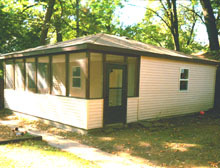 The lower roof section has a steep pitch while the higher roof section has a much shallower pitch. 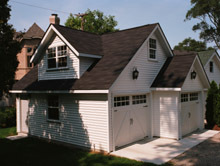 As with gable garages, you also can have the roof slope facing the front or side of the garage entrance. Maybe you like one of the above, but want a bit of flair. Maybe you need to perfectly match your house. Possibly, you want a deck or patio. 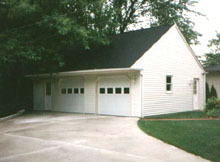 When you want or need a custom garage, the possibilities are limitless. 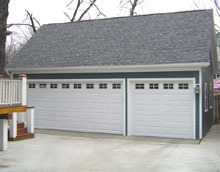 Below are some examples of custom garage roof styles that we’ve matched with homes or homeowner needs. See the rest of our best work at our garage gallery, and contact us for more information and to schedule an appointment!